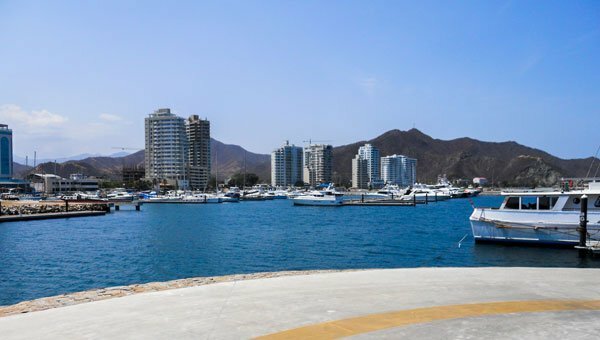 Lush green coffee plantations along the Andes Mountains, sparkling crystal beaches, and Sierra Nevada de Santa Marta—the 18,700 foot, snow-capped mountain which is only 26 miles from the Caribbean Coast. The country is the second most bio-diverse in the world. Located in the north of South America, it has coastline on both the Caribbean Sea and the Pacific Ocean, borders the Darien jungle to its west, and the Amazon to its east. With 1,889 species of birds, Colombia is home to 20% of all species on earth. Tucked away in the eastern part of the country is Caño Cristales, the river dubbed a “liquid rainbow.” This river of five colors is one of the country’s many natural gems. All this gorgeous scenery is a backdrop to one of the best things about Colombia–its warm, accepting people. Happy to share their country with foreigners, the Colombians will welcome you into their communities with music, dancing, interesting local food, and of course festivals. Nearly every city and town has a festival to celebrate some aspect of Colombian life. Medellín, Colombia’s second largest city, hosts Feria de las Flores (flower festival) in August, followed by the International Jazz Festival in September. And every December they present the most spectacular display of Christmas lights in the world. Life in Colombia varies from laidback, relaxing beach living in the coastal town of Taganga, to the culture-rich capital city of Bogotá, filled with theaters, churches, and the Gold Museum, which houses the world’s largest collection of Pre-Columbian gold artifacts. Trendy nightlife, upscale shopping, and an array of imaginative restaurants can be found in both Bogotá and Medellín, as well as several other large cities. 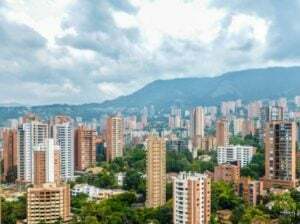 Many cities in Colombia offer a first-world lifestyle for significantly less than the cost of living in the U.S.
Healthcare in Colombia is top-notch. América Economía, Latin America’s premier financial publication, reported in 2015 that 22 Colombian hospitals ranked as being in its top 43 in all of Latin America. The people of Colombia and its government have worked hard to overcome the former, harsh reputation of the country. More than two decades have passed since the infamous days of Pablo Escobar and much of the country is now vibrant and thriving. Multinational companies in the technology, mining, banking, and healthcare sectors have a major presence in Colombia. Getting from one area of the country to the other is rather easy. Bus travel is inexpensive. However, due to the mountainous area around most of the country, journey times can be long. On the positive side, you can spend the hours soaking in all the magnificent scenery. Many airlines provide services between major cities. Domestic flights are reasonably priced and make for much shorter transit, allowing you to spend more time exploring your destinations. 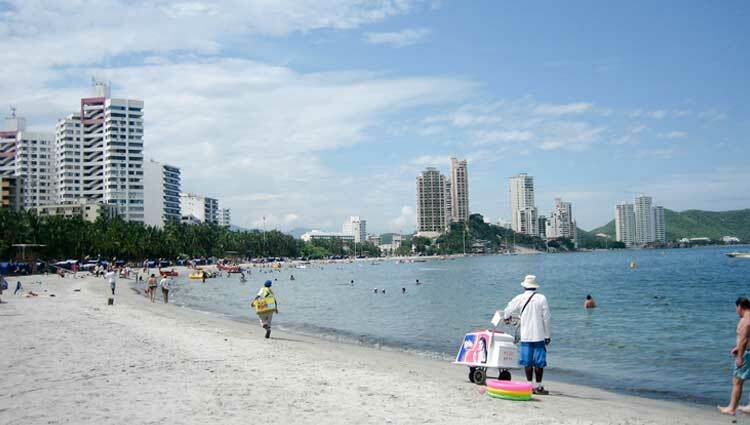 Colombia is steadily growing as a popular retirement haven. Expats report being happier and healthier and their cost of living is a lot lower than it was back home. When Wendy and Darren Howarter decided to move to Colombia, their friends and family thought they were crazy. Two years on, they have an “incredible life that we love” in Medellín. There are 195 countries in the world. And while there is no perfect place on this earth, we are all in search of our own personal slice of paradise. At the tip of the continent, Colombia is the gateway to South America. About the size of the states of California and Texas combined, this country has shed its dark past and is becoming a haven for retirees. The New York Times lists Colombia as #2 out of 52 places to go in 2018. Is Colombia right for you? Here are a few pros and cons to help with your decision. You will have access to affordable, world-class healthcare. The World Health Organization (WHO) ranks Colombia´s health system #22 out of the 191 countries it reviews. That is better than Canada which ranks #30 and the U.S. which ranks #37. Twenty of the top 49 Latin-American hospitals are in Colombia. Foreigners are eligible to sign up for the national public health insurance plan, Entidades Promotoras de Salud (EPS), once they are residents and have obtained a cédula (national ID card). There is no age limit and pre-existing conditions are covered after an elimination period. Premiums range between $30 and $80 per month, depending on your financial status. Co-pays for laboratory tests, imaging, and other diagnostics use a tiered system which is tied to your income. These range from $2 to $10 per visit. Getting a retirement visa is easy. The income threshold is quite low, and the documentation process is very straightforward. If you are receiving Social Security, then you would apply for the pensionado category visa. With as little as a $738 monthly benefit you qualify for the visa. You must provide official proof of the income to accompany your application. If you are too young for Social Security but do receive a monthly private pension or 401K distribution of at least $2,459, then you can apply for the rentista category visa. You must submit apostilled documentation of your benefit along with your application. Both of these visas are valid for three years. There are no medical-related questions on the applications for either one. You won´t rack up many frequent flyer miles. Traveling back and forth between the U.S. and Colombia is quite easy and there are direct flights to several U.S. east-coast cities from Bogotá and Medellín. Because Colombia is so close to the U.S., your flights will be relatively short compared to those between the U.S. and Europe or Asia. While this won´t help you bank very many frequent flyer miles, it will let you get back to visit family and friends quicker. Flights are only three hours from Colombia to Florida and then another three hours to either New York City or Boston. You can leave after breakfast and be visiting family in time for dinner. You´ll have trouble remembering which month of the year it is. Colombia is the second most biodiverse country in the world. If you like warm, tropical weather, then living on the Caribbean coast is perfect for you. If you prefer more temperate spring-like weather, then choosing a city in the Andes Mountains will suit your taste. A fabulous benefit of living in Colombia is that the weather in the climate you choose remains constant all year long. So, January looks and feels the same as June or October. Also, Colombia sits just above the equator so there is very little variation in the amount of daylight during the year. If you are from northern part of the U.S., you are accustomed to longer days in the summer and significantly shorter days in the winter. Colombia has 12 hours of day, and 12 hours of night every month of the year. You won´t know what to do with all the extra money in your bank account. You can live in many parts of Colombia for $2,000 per month or less. Because this country is just beginning to become recognized by expats as an affordable, retirement haven, the cost of living is low. Of course, like any country, it depends on where you choose to live and what type of lifestyle you want. That does not mean you have to scrimp. Medellín for example has an active and growing gastronomy industry. There are hundreds of excellent restaurants serving everything from gourmet hamburgers to Italian, Mexican, Argentinian steak, sushi, and international ethnic cuisine. You can easily have dinner for two in a very nice restaurant for $30 per couple, including tip. Your home will look and smell like a florist shop. Colombia is the second largest exporter of cut flowers. I bet you didn´t know that nearly 80% of the flowers in the U.S. come from Colombia. Roses, carnations, and chrysanthemums are the most popular species, but the country also grows exotic Birds of Paradise and Anthurims (red, heart-shaped blossoms), colorful sunflowers, and lilies. Because all of these gorgeous flowers are grown locally, they are very inexpensive to buy. Local shops and street vendors sell a wide variety of bouquets of freshly-cut flowers that you can bring home. Two dozen roses cost around $9. That is the price you would pay for just a single rose in some cities in the U.S. At these prices you can have fresh flowers in several rooms of your home all year-round. Colombia has been off the radar of foreigners due to its past troubles. Now, it's taking its rightful place. A local contact of mine here, a teacher at an international school, has his eyes on some condos being built right now. One-bedroom units, new construction, in the desirable north end of town are going for around $30,000. You'll find similar condo towers going up in Pereira and Manizales for about the same price as well. It´s easy to confuse Envigado with Medellín because they are contiguous to each other. Envigado is a separate municipality situated in the Aburrá valley and is often referred to as “Medellín’s suburb”.